God doesn’t want to have a life that only looks good on the outside. 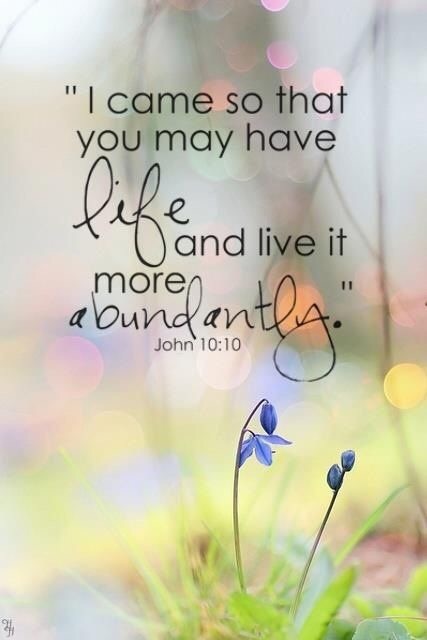 He wants you to live an abundant life in Christ from the inside. That means facing the challenges, sticking it out through the hard stuff to learn the hard lessons. That means knowing that your identity is in Christ, not a title, a position or job. Your worth is who you are in Christ, not what you have (or don’t have). You are completely, endlessly and for all eternity love because you have been embraced by God through Christ Jesus. You were made for more than just an easy life. You have been made to live a God ordained, Christ centered, Holy Spirit powered abundant life in Christ.